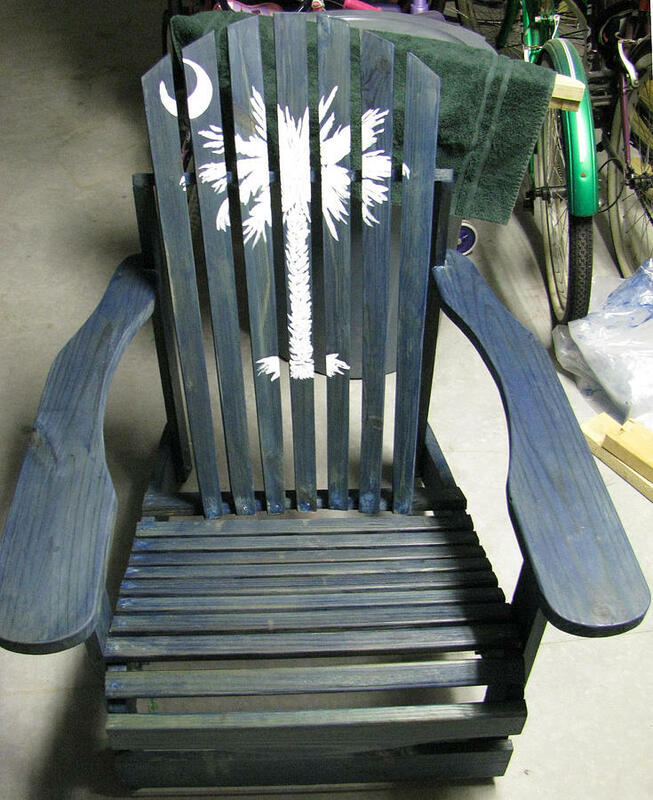 Carolina Lawn Chair is a mixed media by Mark E Smith which was uploaded on October 7th, 2010. Handmade wooden Adirondack chair with hand painted acrylic design. Many different designs and colors to choose from. Pricing varies with type of wood and intricacies of design. Pricing starts at $95.00 a piece or 180.00 a pair.